In the article Professor Lepard comments on and critiques an article published earlier in 2018 in the print edition of the American Journal of International Law by legal scholar B.S. Chimni. Lepard evaluates the strengths and potential shortcomings of Chimni’s arguments in light of an approach to customary international law that Lepard has developed in his writings that is based on fundamental ethical principles recognized in international law. Lepard discusses critically three of the key theses articulated by Chimni: First, that customary international law is inherently colonialist and inconsistent with the values of Third World peoples; second, that even contemporary customary international human rights law is a means of furthering global capitalism to the detriment of Third World peoples; and third, that the remedy for customary international law’s biases lies in the creation of a “postmodern” doctrine of customary international law that incorporates reference to the “juridical conscience of humankind.” Professor Lepard’s article can be found here. The American Journal of International Law is one of the premier publications on international law in the United States. 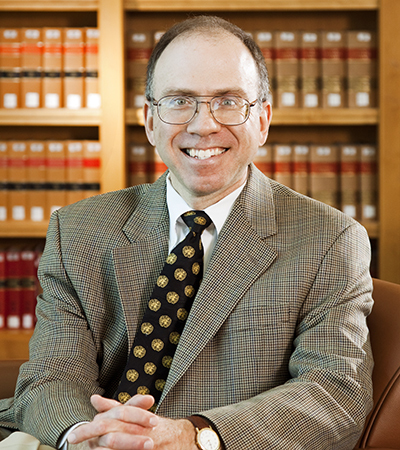 Professor Lepard is the Harold W. Conroy Distinguished Professor of Law at the University of Nebraska College of Law and a recognized expert on international law. His most recent book is Reexamining Customary International Law, which he edited and to which he contributed several chapters. The book was published by Cambridge University Press in 2017.